Knowing how to maintain a pool properly largely means knowing how to keep the pool water clear and uncloudy. At least once in every pool owners life, however, he or she will likely pull back the pool cover to discover murky water. Before reaching for a clarifying product, listed below are three factors that may be causing the cloudy pool water and the steps you can take to eliminate it. Knowing how to maintain a pool means keeping on top of maintaining a proper pool water chemistry. Your pool’s pH and calcium hardness will likely be behind your cloudy pool. If adding any chemicals for pool maintenance, be sure to run the pool filter for 12 to 24 hours. As a preventative measure, remember to add shock to your pool on a weekly or bi-weekly basis (depending on how heavily it’s being used). Any time your water chemistry is “off” you invite the growth of unwelcome guests such as algae. If your water is properly balanced and still cloudy after running the filter for a full day, try adding a dose of algaecide and running the filter again for 24 hours. In the future, this problem can be avoided by learning how to maintain a pool properly, which includes brushing and vacuuming the pool. 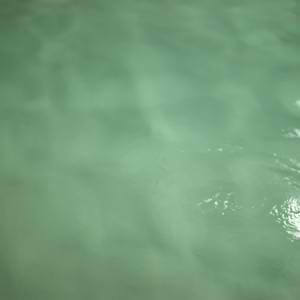 Heavy rains and lack of sunlight can be behind you cloudy pool water problems. Choosing an appropriate pool cover that will keep out unwanted rain water while also allowing your pool to benefit from the natural oxidizing power of the sun’s UV rays will do wonders for your pool water, particularly if you close your pool for the winter.